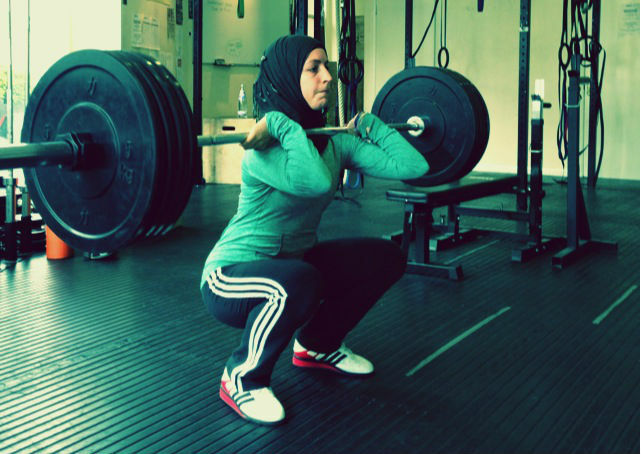 Fitness and wellbeing have finally engrossed almost all of the Muslim population in South Africa. I see more young families that have made more positive lifestyle changes in their homes than our parents and their parents have. I see more hijabi runners and young moms making more educated decisions regarding nutrition with their kids and within their homes. Even though traditions will always be stuck here in Cape Town, don’t let the culture interfere with the changes you are trying to make or have made, now during the holy month of Ramadan. With the Ramadan approaching many newbies are faced with a new dilemma of whether not to exercise in Ramadan and when is the best time to exercise… Yes to those of us who have always kept up our training and healthy eating know that its just a matter of 1) timing our sessions and 2) what type of training when. Yes, during the holy month the focus shifts from your physique and fitness goals and sacrifices are made, but its my PERSONAL OPINION that this does not mean you need to put a halt on all your hard work. An entire month of inactivity will cause significant setbacks in strength and cardiovascular endurance, not to mention the mental and emotional effort it would take to get back on track again. Maintaining fitness and some sort of muscle mass will make it easier to resume your regular schedule after Ramadan. Goals like cutting and building muscle mass will definitely prove difficult, so instead we should focus on overall well-being and maintenance. Also striving for balance, looking at the month on a holistic level. With so many schools of thought and opinion on weight training and cardio during Ramadan I’ve concluded a few tips and guidelines based on my personal experience on how to manage your fitness regime. Training when your schedule allows it might not be the best for your body during the fast. Sacrifices and adjustments might need to be made. I’m here to explain a clever and more sustainable approach for you to cover an entire month. The best time to do cardio for maximum fat loss is 1) just before fast break 2) before Fajr. Perform 45-60 minutes of moderate intensity cardio like a brisk walk on a treadmill or a run if you’re feeling up to for it. I wouldn’t recommend too much running during the month as you will just be burning MORE muscle. If fat loss is your goal you will need to make your diet a priority, you would be wasting your time doing long runs. Also the benefit of waking up early to perform your cardio before Fajr means you can get extra water in for the day. If pre Fajr is not an option for you, then I would suggest breaking your fast with a smoothie and getting a 30-40 minute interval session in on your legs. Be creative, the point is to work really hard for short burst of time and recover ie: sprints, skipping, machine cardio, bodyweight is also an option here as you can touch up on some muscle and train your cardiovascular system at the same time! Imagine? Make sure 5 minutes is attributed to warm up and 5minutes to cool down and don’t forget to stretch after. Provided your belly is not full. The best time to do weight training is not while fasting. This can create way too much muscle breakdown and cause a significant rise in the catabolic hormone cortisol. Training while in a state of dehydration can decrease strength significantly. This does not mean that you wont see me lifting weights while fasting. I’m educating you on the BEST solution for muscle preservation and fat loss that will be sustainable all month. I would recommend hitting the weights after taraweh prayers at night. This will insure that you will have had two meals and plenty of water in your system before going to the gym. This will also give you time to get an extra snack in before bed. If this is too late then 30-45 minutes after fast break before taraweh a short 30min weight session is all you need. So you can easily rotate your cardio evenings and your weight lifting sessions throughput the week. We always start off with good intentions, but our desires and emotions get the better of us during this time. Often I find that we associate certain types of food with specific occasions. Most of the time the food we reach for isn’t actually what we are craving for what we need to eat for our bodies at the time. But more of an emotional desire being met and memories of childhood and its traditions that has brought us together as a community. If you remove this deep subconscious desire for belonging and joy from the foods we eat it will be so much easier to eat wholesome natural and nutritious foods. Many people I know suffer from constipation during this month. I would suggest hot water with fresh lemon in the mornings and evenings, monitoring your fibre intake and limiting processed foods. Try to make water a priority and include some physical activity after supper, which will aid digestion. 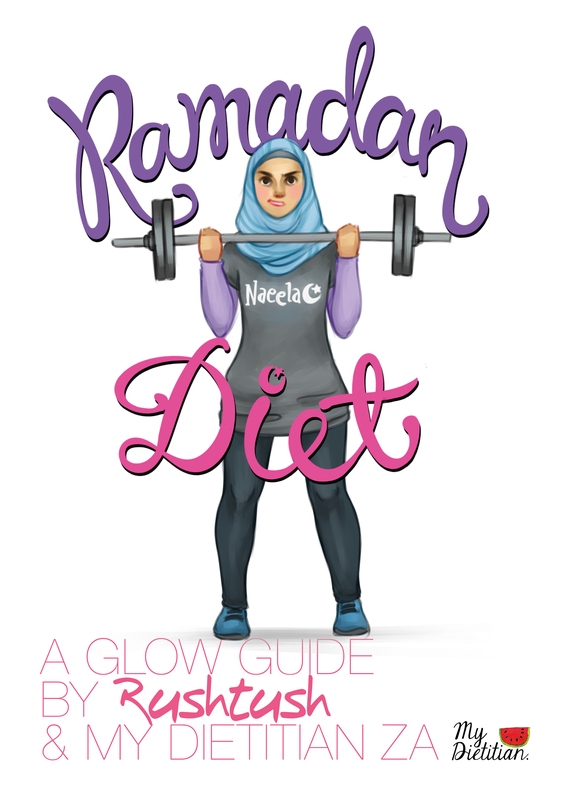 http://rushtush.co.za/shop/glow-guides/ramadan-diet/ with My Dietitian based on these concerns and questions many women are faced with as what to eat at fast beak and in the mornings. May your month be everything that you envisioned and may we all be better versions of ourselves, whatever that entails for you. My goal is to influence a well rounded approach to a spiritual month on a holistic level. Next Post Weight gain after marriage?